Need a modern luxurious limousine for your next occasion? From short private transfers to multiple day business events, our experienced team are ready to manage your transportation. Servicing all of Sydney our professional chauffeurs are waiting to transport you around town in style, comfort and class. In need of a reliable limousine hire car provider in Sydney? We have all your needs well-covered. Here at Sydney Limo we provide professionally chauffeured limousine hire cars at affordable rates. Remove the stress of trying to navigate Sydney traffic when you hire a rental car. 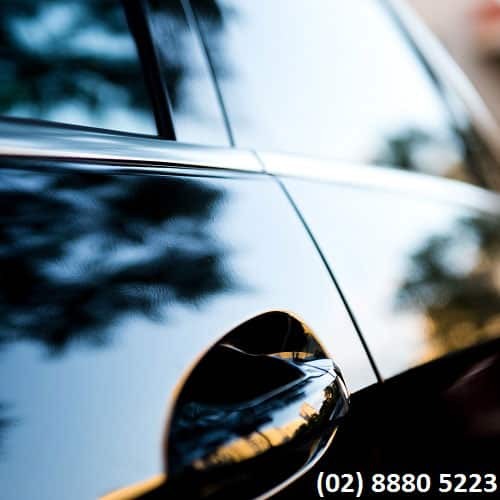 Our experienced chauffeurs know Sydney roads and traffic conditions so you can use your travel time more effectively. We make it easy to book a limo hire car in Sydney. Either call or use our online quote form to make any enquiry and then book. Once your Sydney Limo booking is confirmed you are all set. We provide chauffeur driven convenience in style and comfort. All you need to do is sit back and enjoy our luxurious hire car vehicles. Book with Sydney Limo today and receive the highest quality service for a truly memorable experience. All our hire car vehicles are maintained to strict high standards. Also our drivers are fully licensed, insured, experienced and friendly. Allow us to take the pressure out of hiring a limousine in Sydney. We know that your special event requires the best and nothing else will do. Our limousine hire car service is professional and reliable. Our service is perfect for those occasions when you need to make a lasting impression or simply wish to travel in impressive style. Catering for all private or business use. Our extensive fleet allows us to handle groups of any size. Also all our vehicles are available for any request. Available 24/7 all that we ask is that you book ahead during business hours. This ensures we can reserve your required vehicle early. Simply contact us by completing our quote form or calling us. We have various travel options to suit your needs. When only the best will do – you can count on us. We want Sydney residents and visitors to our beautiful city to experience the highest quality limousine transport. No expense has been spared on our Sydney limousine hire cars. All our vehicles boast the latest in cutting edge technology to increase your comfort, entertainment level and riding pleasure. We also take extra special care of our Sydney limo hire cars. With regular servicing, maintenance and detailing we ensure they arrive to you mechanically sound and in true showroom condition. All of our limo chauffeurs are fully licensed and accredited for the vehicle they are operating. We take no risks when it comes to our passenger and driver safety. Regular maintenance checks and servicing on our hire car vehicles ensure they are roadworthy and safe. We also abide by all NSW and Australian safety laws and regulations. Book with Sydney Limo then relax and enjoy your travel knowing that you are in safe hands. We provide you with professional and experienced drivers who create an atmosphere of luxury in our prestigious limousines. Get pampered and enjoy the features of your limousine as you feel like an A-class celebrity. As you are driven around Sydney, people will peer in through the tinted windows trying to capture a glimpse of who is cruising down the streets in ultimate style. You will feel like a real star. Your limousine experience will be so enjoyable that you may find it hard to travel by any other means in the future. Customer service is another one of our top priorities. All our staff are professional and helpful. While on the road our chauffeurs are well-presented and behave with utmost respect for our customers and their guests. Whether you are showing clients around Sydney or simply arranging your own Sydney Airport transfer, you can be confident that we will portray a positive image of you and maintain your professional reputation. No more worrying about running late to a business meeting or missing your flight. Our limo hire car chauffeurs are highly experienced with Sydney traffic and stay up to date on road closures and detours. This allows us to know how long certain routes will take at different times of the day or night. Book a Sydney Limo hire car and sit back and relax. You have complete peace of mind knowing that we will get you to your destination by your required time. Our friendly chauffeurs take care of your transortation allowing you to prepare for your destination while you enjoy the ride. We are pleased to announce that we offer very competitive prices for the limo hire Sydney market. But even with great prices you are ensured our superior quality service every time. We also occasionally have seasonal discounts and offers or may even be able to offer a special deal depending on the size of your booking. Contact us today and request your no-obligation quote. Even at standard rates you will find our prices are some of the best in Sydney. Our business is all about you – our customer. Tell us what you need and allow us to create a package that delivers. We have an extensive luxury fleet of limousine hire cars from stylish sedans to impressive stretch Hummers. Our ability to be available 24/7 allows us to meet the toughest customer demands. Let us know your special request and our dedicated team will work out a plan to make it happen. We have not met a job that is too challenging for us to provide a solution. When it comes to limo hire Sydney, we have you covered. Reputation is everything for a businesses success. We know that happy customers tell their friends about their enjoyable limousine hire experience. They will also turn into repeat business when they need chauffeured car hire in the future. For that reason we aim to not only meet our customer expectations but to exceed them by going over and above. Use our limo hire Sydney service and we are sure you will be pleasantly impressed. Avoid risking your special event with anyone else. Book ahead to avoid disappointment. Our vast fleet can handle groups of all sizes – large and small.